Forging a career in freelance photojournalism takes skill, patience, and determination. Photojournalism helps make newsworthy events more relatable to viewers and readers. Compelling pictures captured by photojournalists often speak louder than the words read by a TV news anchor or those written by an accomplished reporter. Visual documentation is vital in telling important stories. Since there is an endless number of stories to be told, many news organizations hire freelancer photojournalists to boost production. 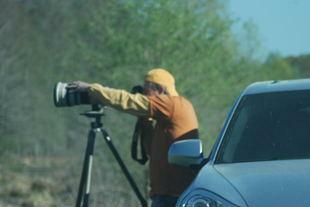 That said, during tough economic times many full-time photojournalists may find that job security is hard to come by. Often, when large media corporations are told to reduce their budgets, full-time photojournalists are let go and rehired as freelance photojournalists. The job descriptions are similar, but a freelancer may not enjoy the same benefits as a full-timer, such as insurance, regular hours and decent pay. Talent is a huge factor in freelance photojournalism. If you are an exceptional photographer, securing work as a freelancer is not very difficult. However, it takes more than just talent to make a living snapping shots of newsworthy events. To make it in the world of freelance photojournalism, you want to choose a niche that best suits your shooting abilities. Then, factor in supply and demand. For example, because of the risks involved, there are far fewer freelance war photojournalists in the world than sports freelance photojournalists. Therefore, if you are a multi-faceted photographer and you don't mind working in dangerous environments, then you might consider entering a field that is not already saturated. By doing so, you increase your chances of securing steady work. If you are trying to earn a living as a freelance photojournalist, you must know how to market yourself. Start by putting together a stellar portfolio featuring your strongest images. Include a diversity of shots, covering sports, news, weddings and nature to illustrate your versatility. Then, contact photo editors of local weeklies or small daily newspapers and let them know you are interested in freelancing for them. Set up a time to show them your portfolio and be prepared to sell yourself and your skills when you meet face-to-face. To succeed in the world of freelance photojournalism you need to be persistent. Most photographers aren't hired as freelancers on the spot. If you don't land your dream job on the first try, don't despair. Keep trying. Getting a foot in the door is essential in freelance photojournalism. Once you get some experience in the field, secure contacts in the industry, and add shots to your portfolio, your job search will become less stressful. If you are just starting out as a freelancer, be prepared for low pay and few, if any, benefits. Most freelance photojournalists start their careers at small, local newspapers that operate on tiny budgets. As a freelancer, you will be expected to work long hours, holidays and weekends. Your job is to cover any and all assignments given to you by your editor, be it the largest pumpkin contest at the county fair, the local holiday parade, or a cat with three ears. Take the work when you can get it and use the assignments to fine tune your skills, learn the business, and collect images to add to your portfolio.